Almost every organization that sells products and services accepts payments through multiple acceptance channels—web stores, point-of-sale terminals, call centers, and mobile apps. Even non-profit and charity organizations accept donations via their web sites, call centers, and lately, mobile apps for representatives in the field. For each of these payment acceptance channels, tokenization provides the ultimate method for keeping payment data secure and dramatically lowering the costs of PCI compliance. Since tokenization removes sensitive payment and personally identifiable information (PII) data from internal IT systems, storing it in secure cloud data vaults, it eliminates the risk of data theft. What remains in your IT systems are tokens that represent the sensitive data that are useful only for your business processes, and worthless to a data thief. Tokenizing your payment and private data is the first critical step in protecting your organization from loss of data due to breaches and the resulting legal, financial, and public relations fallout. But you still need the ability to work with multiple payment processors, as well as service providers such as fraud detection, chargeback prevention, marketing analytics, and card refresh services. That’s why your tokenization service should also be a central point of integration between you and your service providers. The TokenEx Cloud Data Protection Platform is also designed to be an Open Integration Platform that gives you the freedom to choose the providers that process payments and the plethora of partners that protect against fraud and chargebacks, among other payment support services. The TokenEx Platform is an open integration platform that gives you the freedom to integrate with any service provider, customer, or vendor you’re working with today. TokenEx will secure any data set you work with today. We serve industries that handle not only Payment Card Data (PCI), but Personally Identifiable Data (PII), Automated Clearing House (ACH), HIPAA Data (EHR), Non-Public Data (NPI), Structured Data, Unstructured Data, and just about any other data set imaginable. You need your data – bottom line. TokenEx has the platform to ensure your data is available when you need it. By partnering with one of the industry-leading secure cloud providers, TokenEx continues to enhance our redundancy, availability, and scalability for your needs. Let’s you choose between lower-cost, high-efficiency multi-tenant hosting of data vaults and tokenization processing, or dedicated single-tenancy provisioning for high-volume, multi-national enterprises. 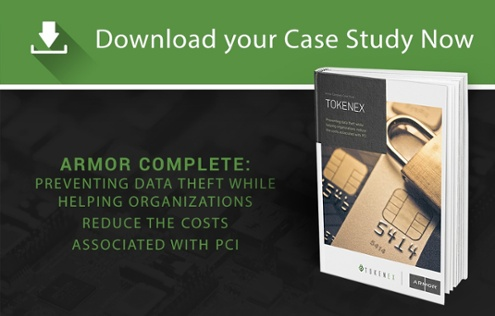 Provided by TokenEx means that your tokenization and data vaulting implementation has the professional guidance and project planning resources you need to successfully remove sensitive data from your systems, lower the overall cost of PCI compliance, and reduce the risk of data theft. The rapid evolution of cloud computing provides organizations with lower-cost, high- availability computing resources (infrastructure as a service), as well as software as a service (SaaS) ranging from manufacturing resource planning, customer support, sales management, financial services, and e-commerce. Now, TokenEx brings data security as a service (dSaaS) to the cloud. A cloud platform for data protection is TokenEx’s key differentiator among the providers of payment processor tokenization, data encryption solutions, and on-premise data security technologies. By unifying tokenization, encryption, and data vaulting in a SaaS offering, TokenEx provides the industry leading cloud data protection platform. Designed from the beginning as a completely agnostic solution, the TokenEx platform integrates transparently with your existing business processes and service providers. In most cases, the integration with TokenEx is so seamless that your employees don’t even know it’s working in the background. Because the sensitive payment, personal, and health data is completely removed from your business systems, a successful breach by hackers results in no loss of data, just streams of tokens that are useless to them. All your data is safely vaulted in the secure cloud platform, ready to be processed on demand simply by swapping tokens for data as you interact with your business processes and service providers. TokenEx continues to grow by increasing services, expanding key partnerships, and providing hands-on consulting to ensure each client’s transition to tokenization is successful and customized to fit their business needs. Security is never a case of “one solution works for all organizations.” The TokenEx team makes sure that your business processes work as you need them to, with secure data vaulting, tokenization, and service provider integrations. Providing tremendous functionality and flexibility, here is what you can expect from TokenEx. Is Your Data Secure? Find Out Today!